People are complex. The environment and other people working with them could influence behaviour change on a regular basis. Behaviour has reasons, not causes and if we understand the reasons why, in most areas will be more committed. Psychological type gives a snap shot of the preferred behaviour that comes almost unconsciously to most people. This is the behaviour that they are comfortable with and can sustain for long periods of time. It is positive news that people can be versatile and can change, as the behaviour they are comfortable with will almost certainly not be suitable for every eventuality. People are often asked to “think and act outside the box” – in these situations they need to be confident that they can do this. This is where personality profiling is important. We all have the ability to access the range of Jung’s bi-polar scales. If our preferred attitude is for introversion we need to be aware that if extraversion is called for we can use this too. We will be less comfortable using it, as we have had less practice and because of this we will possibly be slower as we need to think about what we do rather than do it on automatic pilot This may be a hidden blessing. If we normally write with our right hand and injured this hand in an accident, we would be required to earn how to write with the left hand. This would be uncomfortable and slow until we did it often enough for it to become as automatic as using our preferred hand. It is exactly the same with the bi-polar scales – we have the ability to use the range but our preference for one way will make us lazy of learning the other until forced into it. If we brought this thought with us to team working we would discover that we were a whole lot more adaptable than we originally thought. Not only adaptable but we could put ourselves in the other persons shoes more easily and try them on for size. It would not be quick but it could be done and with some great results ensuing. The questionnaire is not a test as there can be no right or wrong answer to psychological type. It is an evaluation of the individual’s habitual or typical way of dealing with the world. The greatest benefit in using profiling is surely that of development and team working. It provides a useful aid for recruitment but should only be used as part of an overall process. 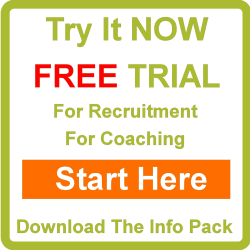 Twenty five percent of the recruitment process should be underpinned by a psychological profile – the other seventy five percent should be made up of interview, past experience/CV and qualifications. Jung believed that individuals were all unique. He was against boxing people and used the analogy of a compass as a method of finding his way around people’s differences, helping him to understand and aid the development of their own potential. The psychological profile designed by Peoplemaps was primarily for the purpose of development. The original target market were individuals trying to gain better self understanding, identify what career would give them greatest satisfaction, help them to promote their strengths and work on their weaknesses. Jung spent his whole life on his development especially on what he called individuation, which he described as the person’s attempt to get in touch with their full potential as a human being. His was a psychology for the second half of life, learning was a life long project and people were capable of changing and developing right up to their last breath.